Come join PEA Tour Leader Patrick Monahan on a customized, small group tour of Cambodia (4 pax min. to 11 max. 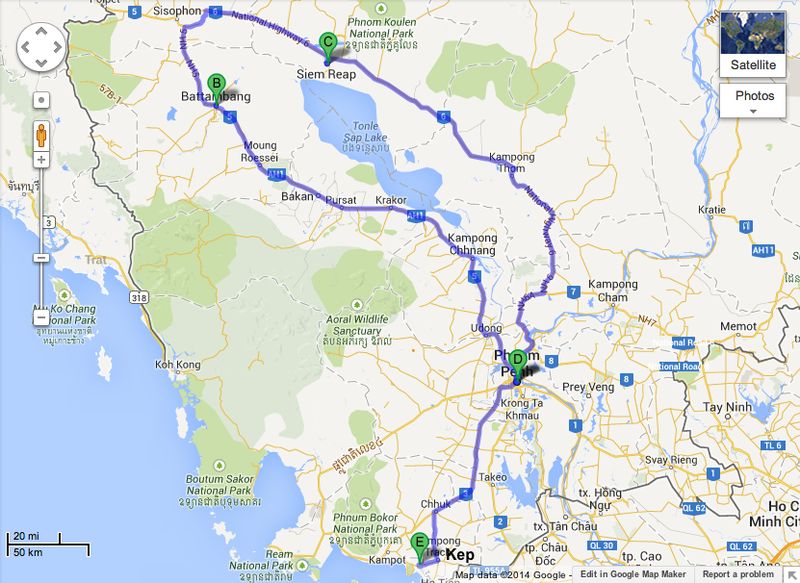 ), visiting Phnom Penh, Siem Reap, Battambang and Kep. Patrick has traveled with PhotoEnrichment Adventures on more than a dozen of our trips, and twice he’s trained with Ralph in Cambodia to lead this trip. $3,999 per person in Double Occupancy (please add $599 for single supplement* if you’d like your own room throughout the trip). * A single supplement applies to those wishing to have their own room throughout the trip (availability may be limited). The trip price is based on current airfare from Siem Reap to Phnom Penh, but price could be adjusted slightly should airfares rise or fall between now and when they are confirmed (although this has never happened). Please request the details of this trip by contacting us via THIS LINK. To register, you can pay with a credit card via PayPal (request an invoice using THIS LINK) or by depositing a check directly into the PhotoEnrichment Programs, Inc. Bank of America account (we’ll send you all the details if you contact us above). Depositing a check affords a $50 discount per person. Your participation is not confirmed until completed Reservation Form and Terms & Conditions, and payment in full, have been received. We’ll send these to you on request. In Phnom Penh you’ll experience a sunset cruise on the Mekong and Tonle Sap Rivers, plus visit the Central Market, Wat Phnom, Silk Island, the Killing Fields, Tuol Sleng, take cyclo and tuk-tuk rides and much more. Moving on from Phnom Penh you’ll spend time in Battambang, where you’ll enjoy tuk-tuk adventures into the countryside with stops to see how they make rice paper and sticky rice served in bamboo, as well as a stop at the local prahok (fish paste) market, an experience you’ll surely never forget. You’ll also visit the austere Killing Cave and witness the spectacle of over 6 million bats as they leave their cave to feed in the local rice fields. Continuing your partial circumnavigation of the Tonle Sap, you’ll venture on to Siem Reap, your base for exploring the UNESCO World Heritage site of Angkor Wat (voted #1 on TripAdvisor’s World Wonders of 2015, the list of the 25 top rated landmarks of the world ) where you’ll have an included day pass to the ruins. Our itinerary features sunrise and sunset at Angkor Wat, visits to Bayon with an included elephant ride, plus Ta Prohm and other amazing sites. You’ll also visit the floating village of Kompong Phluk on the Tonle Sap Lake, including a flooded forest boat ride. Finally, you’ll fly from Siem Reap back to Phnom Penh (flight included), and then have a private transfer to visit the seaside town of Kep, famous for its crab market, Rabbit Island, and simply a peaceful place to just relax and your great Cambodian adventure! Keeping your travel schedule in mind, participants will be put in the right place, at the right time, to explore and capture the best of Cambodia, including its people, food, temples and other cultural wonders. Approximately 2- to 4-hours per day on average of time with your trip leader Patrick Monahan, including group photo walks and locally-guided walking tours in each location. Participants will have a chance to enjoy a mid-trip image review where you can share images and discuss what you and your fellow tour participants saw and photographed. 13 nights accommodation in wonderful boutique hotels with pools and other amenities in each location (Phnom Penh, Siem Reap, Battambang and Kep). Meals: breakfast daily, plus most lunches and dinners, but still you can go out and explore other restaurants on your own when not with the group. Airport transfers in Phnom Penh (PNH) at start and end of tour, plus for internal flight. Transportation from Phnom Penh to Battambang to Siem Reap, and then from Phnom Penh to Kep and back to Phnom Penh in a private, air-conditioned coach. Airfare one-way between Siem Reap and Phnom Penh. Entry fees for all included sites and group experiences. Cyclo and tuk-tuk rides for various activities. Elephant ride around the ruins of Bayon in Angkor Wat. Orientation tours in Phnom Penh, Battambang and Siem Reap with a local, English-speaking guide. Tips for all local guides, drivers, porters and meals. Amateur photographer and trip leader Patrick Monahan, will be leading this trip. Patrick knows this itinerary and Cambodia’s culture well and he looks forward to sharing his knowledge of the country with our clients. For more information on Patrick, see the above link for his expanded bio. All activities and itinerary details are subject to change, but rest assured we’ll make every effort to provide a comparable alternative should changes to our schedule need to be made. 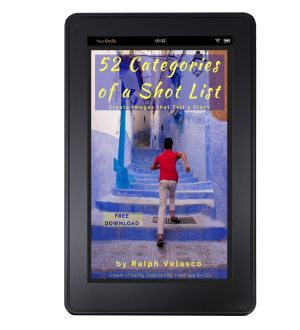 Join email list and receive a FREE copy of Ralph's eBook 52 Categories of a Shot List: Create Images that Tell a Story. We hate pop ups, too, but you’re definitely going to want to get in on this deal. Rest assured that we’ll never sell or share your e-mail address and will only use it to occasionally inform you of upcoming tours, announcements and events that we think will be of interest to you.